The first day of the European Validation Festival - Unlocking talents in Europe, on 14 June in Brussels, featured a marketplace with 40 stands where organisations had the opportunity to present their initiatives and practices on validation of informal and non-formal learning. The experts from all around Europe shared practices and exchanged ideas and knowledge about how the work experience of job applicants who move from one country to another can be recorded faster and more transparently. The participants agreed that there is a lot to learn from each other. After all, there are many initiatives and best practice projects in Europe dedicated to this topic. Among others, Helmut Stangl (Meramo) und Mareike Ziegler (IHK München und Oberbayern) presented the project check.work, which was selected by the European Commission for the marketplace of the festival. The participants were especially interested in the question of whether the approach of the online tool can be transferred to other countries. Also at the table were Martin Walter and Marina Schormair, network partners and representatives of the “Tür an Tür” (door-to-door) project in Augsburg. As well as Marie-Claire von Radetzky from the German Economic Institute in Cologne with the project BQ-Portal, cooperation partner of check.work. 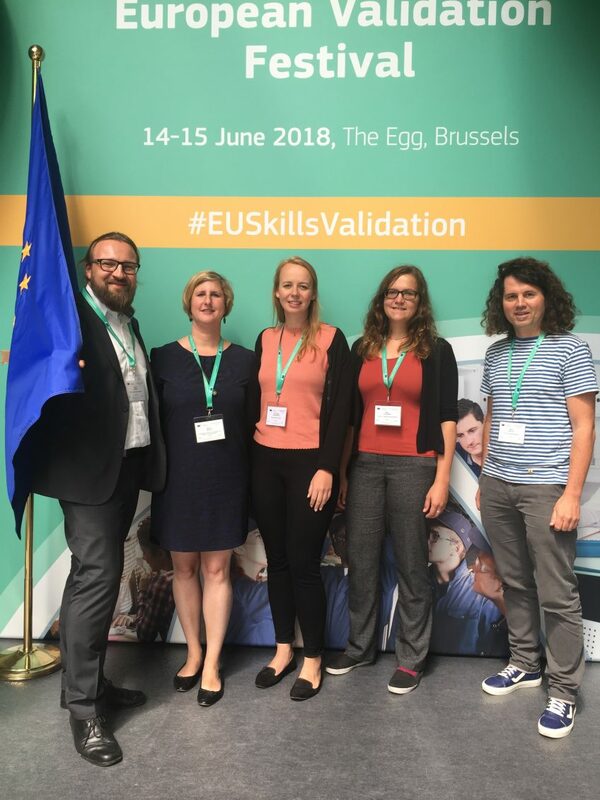 The second day opened a policy debate on validation in the bigger picture of European policies for employment, education and training, and in particular the Skills Agenda for Europe.